The Jacksonville Sheriff's Office is searching for an armed robbery suspect believed to have targeted several businesses. In each reported robbery, police said the suspect was armed with a handgun and would demand money after approaching an employee at a register. 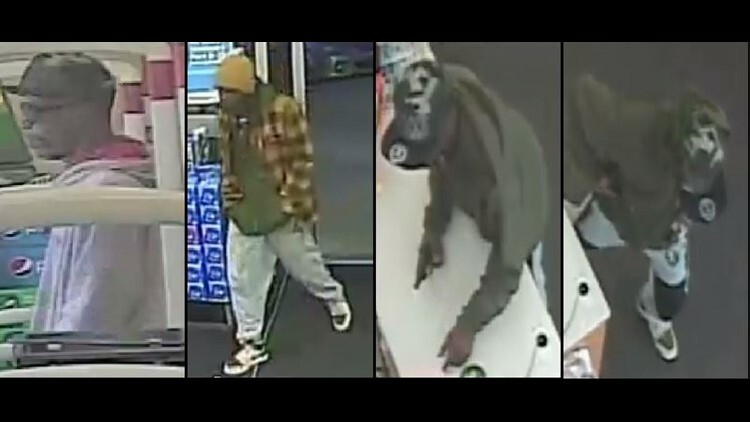 JACKSONVILLE, Fla. — The Jacksonville Sheriff's Office wants the public's help in identifying an armed robbery suspect believed to have targeted several businesses. The suspect is described as being between 25 to 30 years old and is between 5 feet 6 inches tall and 5 feet 8 inches tall with a skinny build, police said. In each reported robbery, JSO said the suspect was armed with a handgun and would demand money after approaching an employee at a register. The suspect has been seen wearing a tan or olive-green jacket or hoodie, gray sweatpants with black patches over the knees or white track-style pants. He has also been seen wearing a camouflage hat with a sticker on the bill and white and black shoes. If you have any information on this suspect, call JSO at 904-630-0500 or call Crime Stoppers at 1-866-845-TIPS to be eligible for a $3,000 reward.